Terry Crews is here to help you with the holidays. Today, it was announced The CW will air a new special this December called Terry Crews Saves Christmas. Terry Crews Saves Christmas premieres on December 20th and lasts until December 23rd. Los Angeles, CA — (October 17, 2016) –Multimedia entertainment studio Electus, an operating business of IAC (NASDAQ: IAC), today announced that The CW will debut Terry Crews Saves Christmas, a week-long, holiday-themed special premiering Tuesday, December 20 (8:00-9:00 pm ET). In each episode, comedy superstar Terry Crews will visit a hopeless holiday enthusiast and put them through a hilarious crash-course in how to do Christmas right. After spying on the makings of a Christmas mess, an expert team led by Terry and his no-nonsense food, beverage and design experts, will intervene and provide tips and tricks to pull off a Christmas that friends and family will remember for years to come. Terry Crews Saves Christmas is produced by Tim Warren (Bar Rescue), and Christopher Grant, Drew Buckley, Justin Dudek, and Max Levenson of Electus. Electus International will be selling the finished tape and format at MIPCOM this October. What do you think? 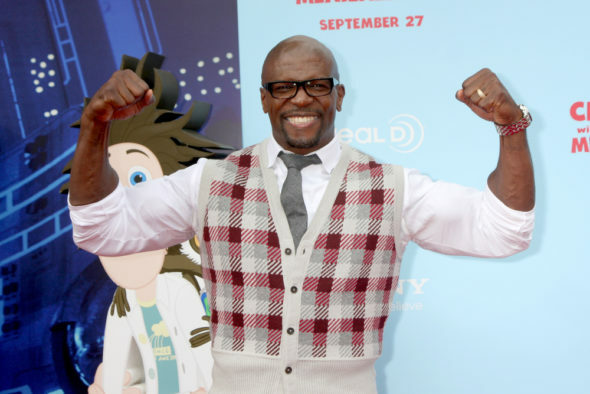 Are you a fan of Terry Crews? Will you watch Terry Crews Saves Christmas? More about: Terry Crews Saves Christmas, Terry Crews Saves Christmas: canceled or renewed?, The CW TV shows: canceled or renewed?